Karni Mata is also known by the names of Ridhu Bai and Nari Bai by some locals. She was originally the wife of Kipoji Charan of the Sathika Village. She later told her husband that she was not being able to concentrate in matrimonial life. All this went unheard by her husband only before it was too serious and she decided to leave home. Karni Mata even arranged the marriage of her sister, Gulab with her own husband. She, herself stayed like a nomad throughout her life. Karni Mata is the family deity of the royals of Jodhpur and Bikaner. She was highly respected throughout her lifetime and is said to have blessed many kings and their families. Her first temple was built was built in Mathaniya Village by her disciple Amara Charan in 1472. Other important temples of Karni Mata were built in Deshnoke, Jodhpur and Bikaner. Karni Mata is said to be the fiercest incarnation of Goddess Kali. Some people also say that she is an incarnation of Goddess Durga. This temple is also known as ‘The Rat Temple’. The mystery of the name will be cleared once you enter the temple and see rats all over the area. Moreover, the idol of Karni Mata holds a trident and is surrounded by many rats. The rodents are said to be originally from the Charan category, which was also the origin of Karni Mata. Some locals say that the rats there protect the temple from evil powers from entering into it. They are considered to be holy and are carefully preserved in the temple. This temple was the most important religious place built during the Mughal rule. The architecture is stunning. As soon as you enter the temple you will see walls, large doors and pathways with intricate craftwork and designs all of the late Mughal style. You will also find many rats drinking milk from a large container. The locals have so much belief in here that they even take the rats on their laps and feed them with milk and other different temple stuffs and seek the blessings of the Goddess. This place altogether is perfect for God lovers with an exclusive experience of spending time with so many rats which you will not find anywhere else. If you see a white rat, then consider yourself to be very lucky. The locals say that spotting a white rat means that Karni Mata has blessed you. The best to visit the temple is during the Navaratri Festival. Beware of the rats as they are so many in numbers. The temple food that is distributed is all eaten by the rats first as it is considered to be holy. Photography is allowed without any extra charges. The temple becomes crowded so it is better if you visit it as early as possible. Recommended time to visit: Early morning. The nearest airport is the Delhi IGI. The nearest railway junction is Alwar. Love this? Explore the entire list of places to visit in Alwar before you plan your trip. Fancy a good night's sleep after a tiring day? Check out where to stay in Alwar and book an accommodation of your choice. 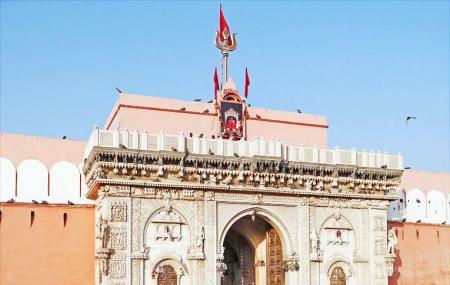 How popular is Karni Mata Temple? People normally club together Moosi Maharani Ki Chhatri and Siliserh Lake Palace while planning their visit to Karni Mata Temple. Very beautiful natural place.. Hills, greenery, temple, fort and the best view of the city ALWAR!